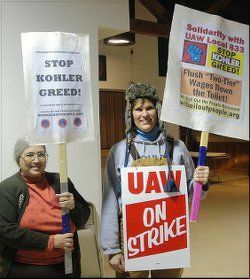 After a 32-day strike against the Kohler Co., on December 16, the fighting members of United Auto Workers Local 833 voted 91 percent in favor to accept a four-year tentative contract agreement. They returned to work the next day. Babette Grunow of Wisconsin Bail Out the People Movement at the UAW Local 833 Emil Mazey hall with striker Dec. 13. Inspiring the entire labor movement and community struggles, members of Local 833 — in a climate of severe union-busting austerity in Wisconsin and nationwide — went on strike November 15 after voting by a margin of 94 percent to reject a tentative contract offer from Kohler that kept a two-tier system in place, with “Tier B” workers making on average $10 an hour less than “Tier A” workers. Health care costs were also a major strike issue. Although the tentative agreement didn’t eliminate two-tier entirely, advances towards wage equality will be made during the life of the contract. Anticipating a strike vote, labor and community supporters started mobilizing solidarity actions for their Local 833 sisters and brothers the day before the vote. 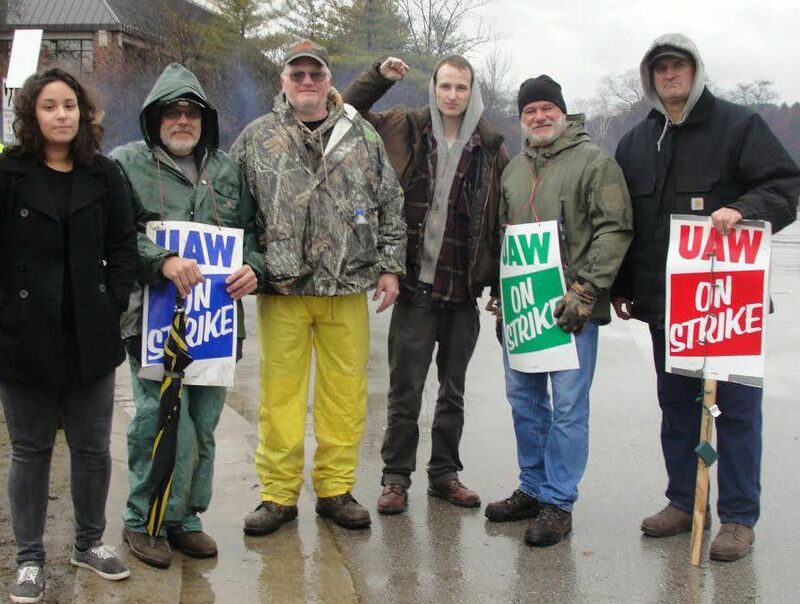 Members of Rockford Fight Imperialism Stand Together join striking UAW Local 833 members at the Kohler Co. Dec. 14. During the strike, ongoing support kept spirits up and the union hall in operation 24/7. 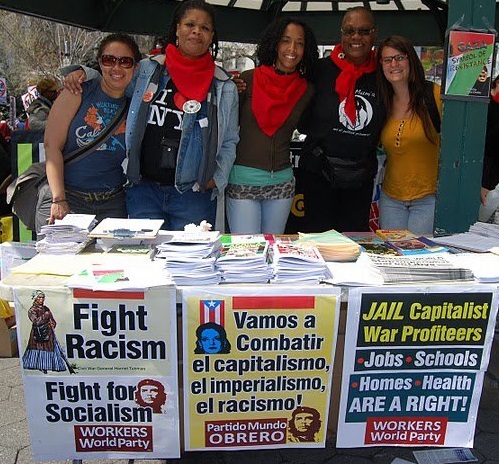 Numerous small businesses assisted the strikers in a variety of ways and unions from around the United States and beyond, along with a variety of student and community organizations, lent dynamic support. 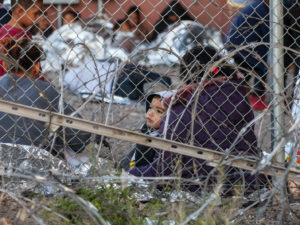 Numerous solidarity resolutions came from unions such as the American Federation of State, County and Municipal Employees Local 526 in Milwaukee, the United Steelworkers Local 8751 in Boston, the Autoworkers Caravan and the School of the America’s Watch Labor Caucus. Food and kids’ toy drives for striking members and their families were organized by a variety of union and community organizations, including the Milwaukee Teachers Education Association, the United Worker Organization, the Wisconsin AFL-CIO and the Wisconsin Education Association Council. Tens of thousands of dollars were sent by many unions to Local 833’s strike fund. 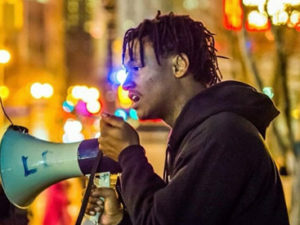 Babette Grunow of the Wisconsin Bail Out the People Movement participated in a “Youth Empowered in the Struggle” solidarity delegation from Milwaukee to the strike picket lines on December 5. 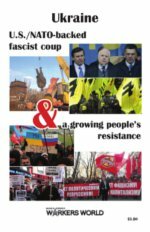 She returned with another delegation, this time of Rockford “Fight Imperialism Stand Together” and Workers World Party members December 13-14. Grunow also helped to mobilize support from Milwaukee and circulated strike support information through social media.